Brigadier General John Timothy Fitzwater was deputy for operations, Continental Air Command, Robins Air Force Base, Georgia. In this position, he is responsible to the Commander, CAC, for operational planning, control of current operations, and individual and unit training. 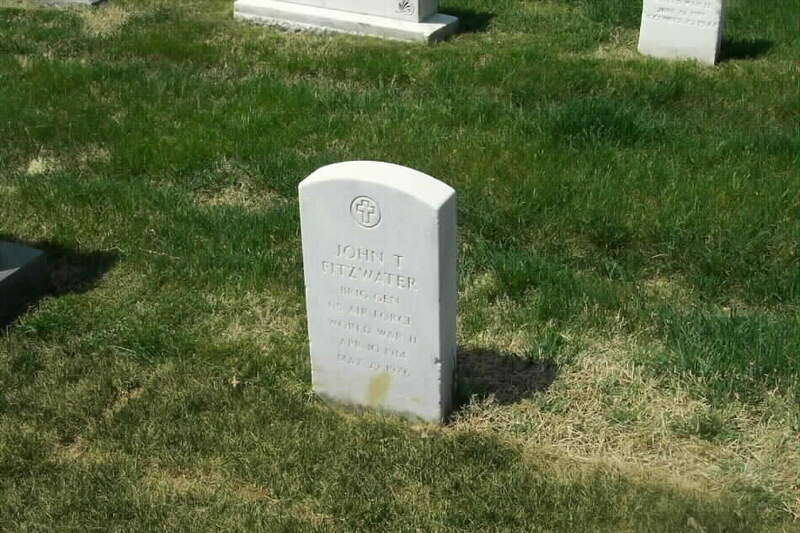 General Fitzwater was born in 1914, in Upshur County, West Virginia. He is a 1932 graduate of Buckhannon High School in West Virginia and graduated from West Virginia Wesleyan College in 1938 with a bachelor's degree in mathematics. He later received a master's degree in experimental psychology from Ohio State University. In June 1938, Fitzwater entered flying training and was commissioned a second lieutenant in the Army Air Corps in May 1939 at Kelly Field, Texas. His first assignments were at Randolph Field, Texas; Gunter Air Force Base, Ala.; and Shaw Air Force Base, South Carolina. He was a jet qualified Command Pilot with more than 4,000 hours flying time. In January 1944, then Lieutenant Colonel Fitzwater Joined the 7th Bomb Group in India and China where he flew 20 combat missions in B-24 Liberators and received the Air Medal for his airmanship. He returned to the United States in November 1944 to serve as Director of Flying Training of the Air Training Command at Barksdale Air Force Base Louisiana. For his service in this capacity he received the Legion of Merit. In November 1948 he became Director of Research and Development for the Air Training Command. From April to October l949, the then Colonel Fitzwater served as director of Human Resources Research at Barksdale Air Force Base, Louisiana, and in the same year organized and commanded the Human Resources Research Center of the Air Training Command at Lackland Air Force Base Texas which later became the Personnel and Training Research Center of the U.S. Air Force. It is now part of the Air Research and Development Command. In August 1950, Colonel Fitzwater became commander of the 3700th Basic Military Training Group at Lackland Air Force Base, Texas. From July 1951 to May 1952 he attended the Air War College, Maxwell Air Force Base, Alabama. From June 1952 until January 1955 Colonel Fitzwater was assigned to Headquarters, Far East Air Forces as assistant deputy for personnel and, later, acting deputy of personnel. He later served as director of combat 0perations at Headquarters, Central Air Defense Force, Richards-Gebaur Air Force Base, Missouri. On Oct. 9, 1957, he became Commander, 33d Air Division (Defense), which later became Oklahoma City Air Defense Sector (Manual). On April 18, 1960, he became vice commander of 33d Air Division with headquarters at Richards-Gebaur Air Force Base, Missouri. It was in this position, in 1961, that he was promoted to Brigadier General. Later that year he was sent to Turkey, where he served as senior U.S. adviser to the commander of the Turkish Air Force. Upon his return to the United States in August of 1963, General Fitzwater was assigned to Headquarters, Tactical Air Command, as assistant deputy for plans, and later as deputy chief of staff for plans. In August 1966, General Fitzwater was assigned as deputy for operations, Headquarters Continental Air Command.